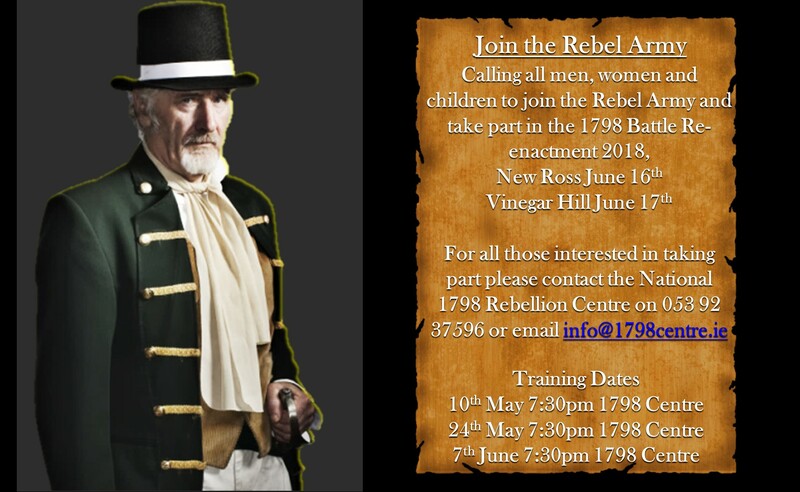 The Rebel Army is currently recruiting men, women and children to join them for the Battle of New Ross Re-enactment, on Saturday 16th June and the Battle of Vinegar Hill Re-enactment, on Sunday 17th June. Training will take place at the National 1798 Rebellion Centre on May 10th, May 24th & June 7th, commencing at 7. 30 pm.